OK – so why grow something that tastes like Kerosene? 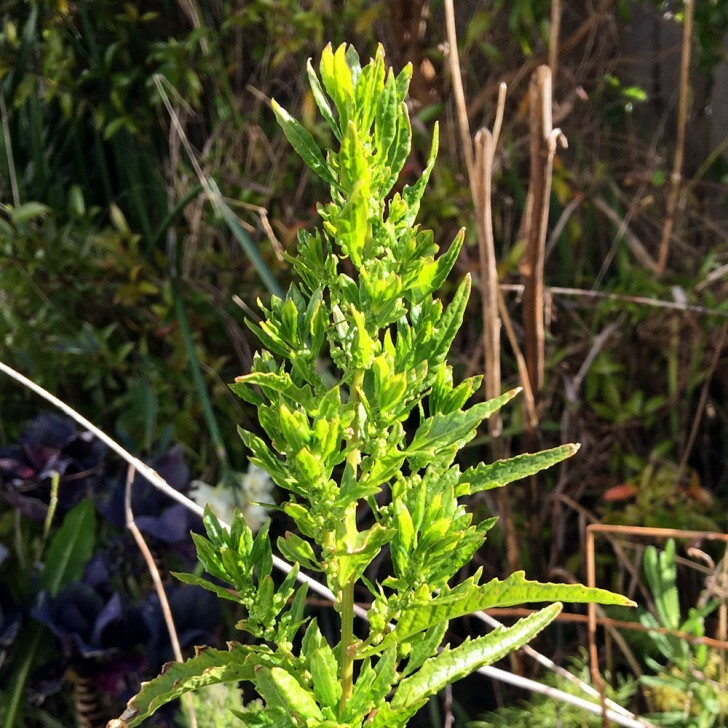 Epazote – Dysphania ambrosioides (syn Chenopodium ambrosioides) – is a fast growing very hardy plant (weed?) 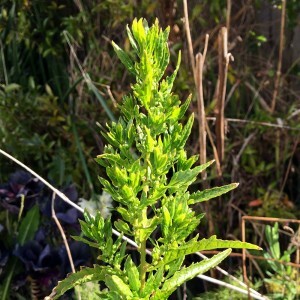 that produces seed like a blizzard and is a short lived perennial with a fairly longish life in your garden due to the seed production if you let it drop any. It grows as a weed in many places beside roads etc and really needs to be managed carefully if you grow it. You only need a small plant generally to supply all your needs. The whole of the plant smells and tastes truly odd with a very high level of oil. The oil levels seem to change a lot based on where you are growing it and the flavour can vary quite a bit from country to country. It’s most famous uses are in the ‘Mexican Tea’ and in specific types of Mexican Salsa and Mole and for use when cooking Black Beans. 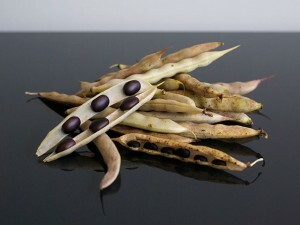 You can use it for any of the slow cooked beans like Kidney but the Back Turtle Beans are best. You only need a sprig or two for a large pot of Black beans but it really does add a certain unique flavour profile that is hard to explain or describe and it is not able to be replaced or imitated by any other herb. It does have a history of being used in tea form for various stomach issues and also as a worm killer or making them leave your digestive tract. This allows you to make the nice soup from the left over Black Bean water that tastes correct and again unique. The Black Beans stain the water Black as they cook. You do not want to have too much of this stuff as it has a lot of weird chemicals in it that are somewhat unpredictable and dangerous in large amounts. But like many herbs that have been used by humans for many millenia – if you are careful and use just a little bit as it always has been – it’s likely OK.